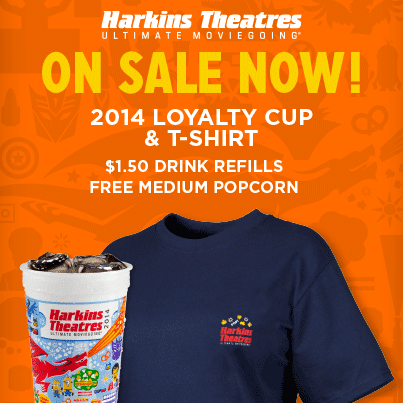 Angry Koala Gear: Harkins Theatres 2014 Loyalty Cups and T-Shirts are Now Available! 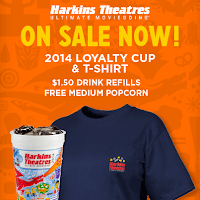 Harkins Theatres 2014 Loyalty Cups and T-Shirts are Now Available! 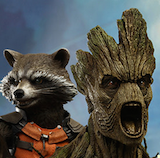 The best movie deal in town for over two decades is back! Harkins Theatres’ coveted Loyalty Cups and Loyalty T-Shirts have become synonymous with Ultimate Moviegoing® and are on sale beginning Thursday, November 14. Harkins Theatres rewards moviegoers with $1.50 soft drink refills every time they bring their Loyalty Cup to the movies, and a FREE medium popcorn every time they wear their Loyalty T-Shirt to the movies through the end of 2014. With this year’s exciting new design and the same incredible value, the Harkins Loyalty Cup and T-Shirt are perfect for movie lovers and families looking to stretch their entertainment dollar. 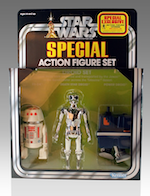 The 2014 editions are available for purchase at all Harkins Theatres locations or online at www.harkinstheatres.com. The Loyalty Cup and T-Shirt are valid until December 31, 2014. Loyalty Cups retail for $5, and Loyalty T-Shirts retail for $25. For the fifth year in a row, a portion of the proceeds from the sale of the 2014 Harkins Loyalty T-Shirt will be donated to Phoenix Children’s Hospital. Harkins Theatres Loyalty program is definitely the best any movie theater can offer! The cups and shirts have definitely saved us lots of money over all the movies we have gone to see, especially during the summers. The Loyalty program is terrific, but Harkins Theatres have definitely come through with amazing Midnight showings and Marathons for most big films. 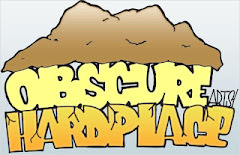 If you have the chance, take a trip to your local Harkins Theatres, especially in Tucson and see what they have.